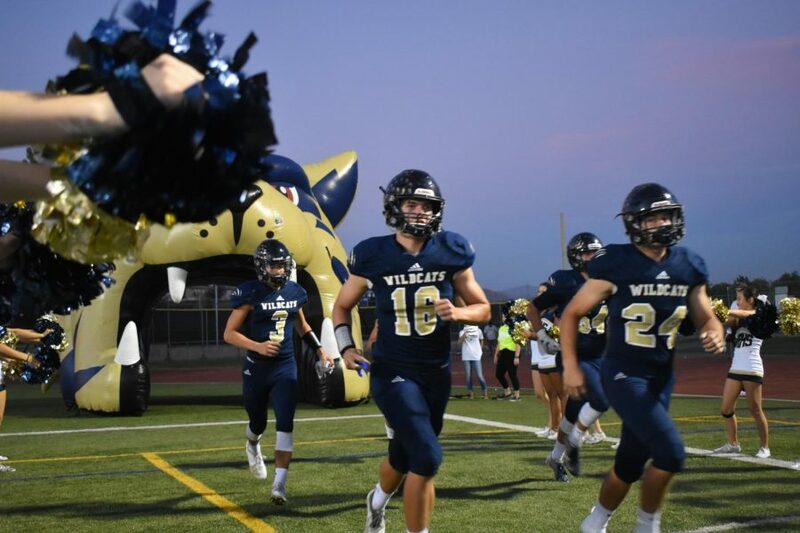 On Sept. 28, West Ranch football ran down the field, ready for the first game of the Foothill League against Golden Valley, where they won with a whooping 53-16. The theme of the game was “workout,” so everyone, including the West Ranch Pack, was decked out in their workout gear. This game was something new for West Ranch; if they won this game, it would mean a 6-0 record (something that has never been done in West Ranch history). This win in the first game of the Foothill League series set up the team for success in future games. 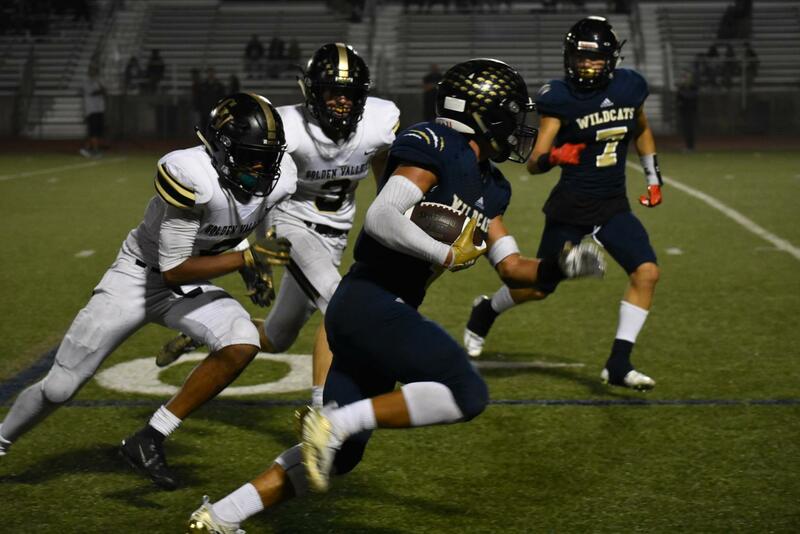 Following Ryan Camacho’s record of the longest rushing yards in the previous game, West Ranch Football is a force to be reckoned with. The beginning of the game started off a little rocky as West Ranch was only able to score one touchdown, but they managed to take first quarter 7-0. But, as second quarter started, West Ranch football regained their steps, bringing their A-game. The Camacho brothers made touchdown after touchdown, and soon, the score was 20-6. During halftime, West Ranch marching band delivered a stunning performance of their finished show “Celestial” that gave the audience members a little breather. As soon as the halftime show ended, everyone was brought back to reality, remembering there was a game that needed to be won. It was 61 degrees, and most of the Pack went home, eager to be away from the cold. Only a few remained on the stands, but West Ranch Football stood tall on the fields, the timer on the scoreboard ticking down. Despite the nerves and pressure they had, the Cats managed to pull off an amazing performance, ending the game with touchdowns made by the Ryan and Jovan Camacho and Jackson Reyes. This ensured their 6-0 lead and a chance to proceed in the Foothill League. When talking to the football players, many of them including Nathan Jerzykowski and Dylan Clark, described the win as “amazing.” They had all practiced long and hard, and this win certainly paid off what they did. All the football players were so excited, as anyone can hear their chants and screams from the locker room. On Saturdays, most people would be in bed, sleeping until their mom pushes them out of bed. But not West Ranch Football. Despite staying late, and winning a game the previous day, West Ranch Football had to wake up early for their practice at eight in the morning. To see our Cats create more history, make sure you come support them at their next home football game on Oct. 12 against Saugus.